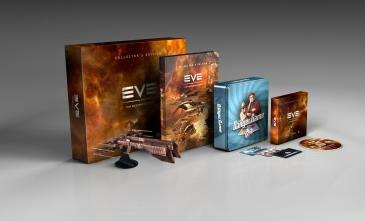 CCP has made the Second Decade Collector’s Edition of EVE available today. It’s a limited edition box containing unique items to commemorate the first 10 years. Inside includes a “Rifter” USB Hub, 190 page hardback book, a board game, CD of EVE’s soundtrack, One Plex, and more. The Collector’s Edition box is $149.99/€149.99. The Action RPG/MOBA Divine Souls is launching tomorrow, Friday, October 25th. Developed by Game Prix, Divine Souls will be launched through gamengame.com. It is free to play and has a cash shop, but it is said that all items in the shop will be $1 or less. And until November 7th Divine Souls will be hosting special promotions, so keep an eye on the Facebook account and official website for more on that. The Kickstarter campaign for Alteil Horizons has come to an abrupt halt as Apocoplay cancels it. They have plans to bring it back on October 30th with a lower goal and thanks to feedback from supporters new reward tiers.